One of the best Apple Watch games yet! It is not just a game. It's a brain trainer. Improve your memory by playing 3 fun mini games on your Apple Watch. If you bought an Apple Watch it means you want to improve your efficiency. Improve it even more by enhancing your memory with Brain Fruit. 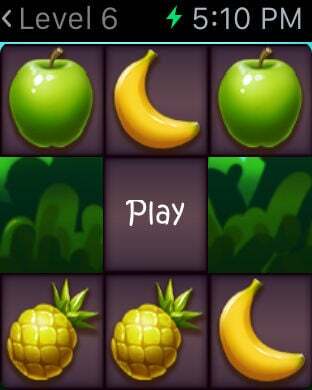 Playing Brain Fruit just few minutes a day may significantly improve your memory. Keep track of your progress using your iPhone. It's always on your wrist! Just play it. Have fun and get better at it. 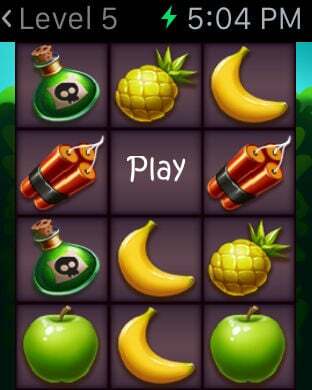 1) CLASSIC GAME MODE - Player needs to remember the fruit position and avoid things like poison and bombs. 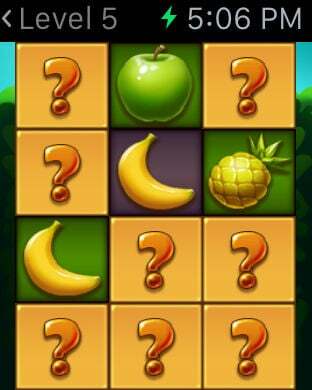 Then, you have to match the fruit with a fruit in the middle of second row. Every level adds more fruit. It is a perfect game mode for the people who want some challenge. 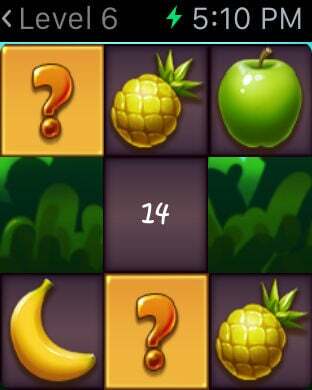 2) TIME ATTACK GAME MODE - You get a few seconds to remember a game screen and then you’ll have to repeat it by tapping on each tile to scroll through types of fruit before time runs out. This one requires fast thinking unlike other two game modes that let you take your time. 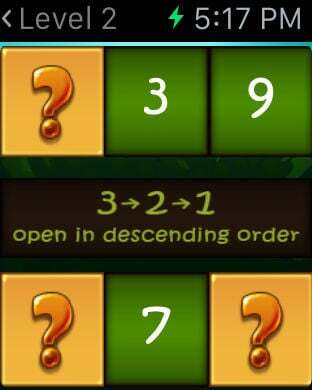 3) NUMBER CRUNCH GAME MODE - In this mode you have to remember all the numbers on the screen and then player will be asked to open them in ascending or descending order. This game is completely different from another two and engages your brain in other ways.